When all the students go home for Summer the library gets pretty quiet and I get to take my leave. I like to spend some days with my dog Sookie and having a long lie in but the past few weeks I've been trying to get into the outdoors a bit more and explore Wales a little. 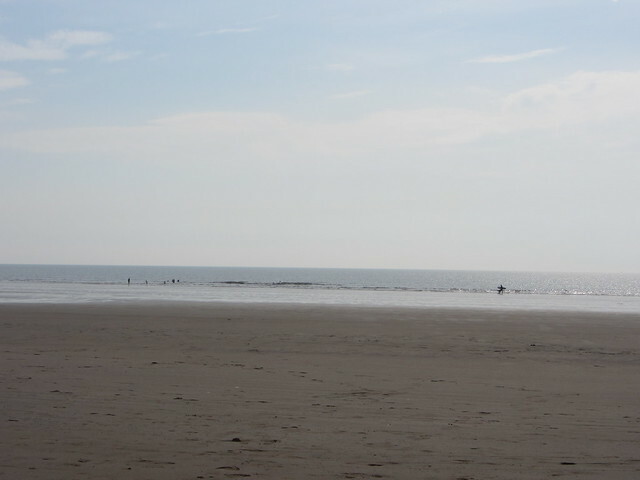 I went to Monmouthshire a few weeks ago, Brecon this weekend and here to Rest Bay earlier this week. 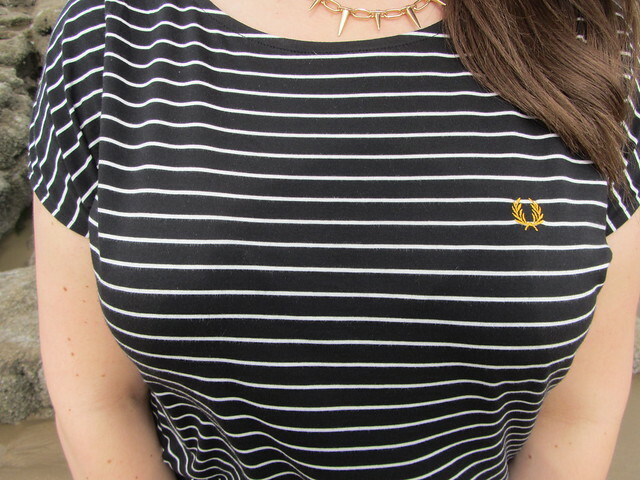 I tried to be a little nautical for my trip to the seaside so I wore the latest addition to my Fred Perry collection, this stripy t-shirt. 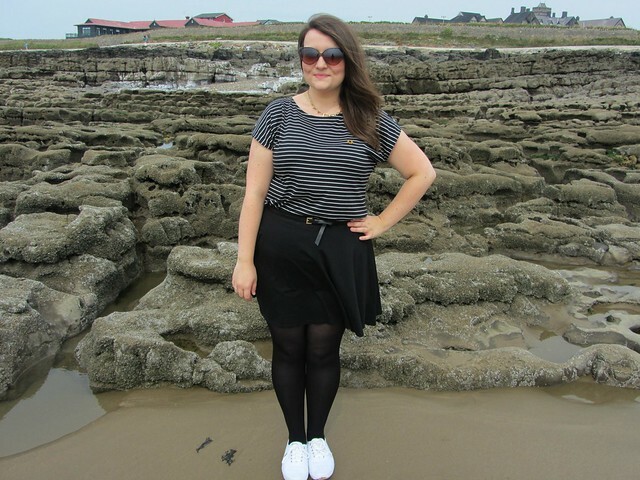 I enlisted my mate to take some photos who found it all very funny and told me to do my tea pot blog pose, cheeky. The title of this post was inspired by this Horrors song which I first heard on 95bFM in New Zealand, overlooking Bucklands Beach. 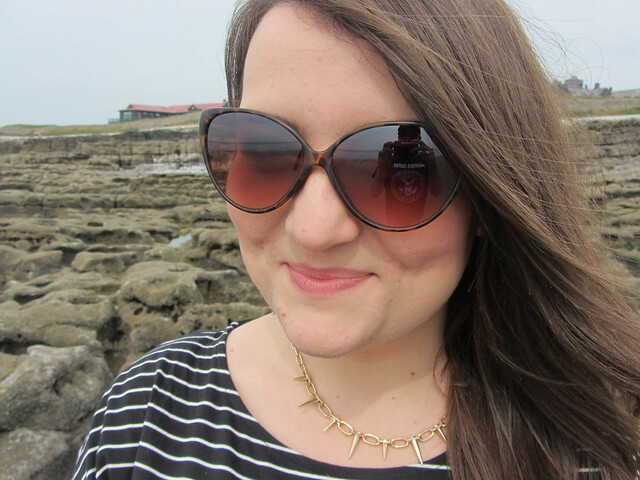 Have you got any recommendations for places in the South West and Wales for me to explore? Gem, we are SO lucky to have beautiful places within such a short distance! Depends what kind of places you're after, do you like walking or just pottering about?? Ok, for rambling country walks with nice pubs at the end - Vale of Glamorgan. Find the 'Valeways' website for free leaflets to download. For pottering around and a bit of afternoon tea, I'd go to Abergavenny in Monmouthshire. Ah I wish I lived close to a beach that didn't look like black sludge - ah the joys of Southend haha! You look lovely Gem! Love the pictures. I used to love holidays in Brecon and West Wales when I was little. Wales is so beautiful. You look lovely, I wish I was near to a beach! What a lovely look, perfect for a getaway :) I really like the necklace and the tee!